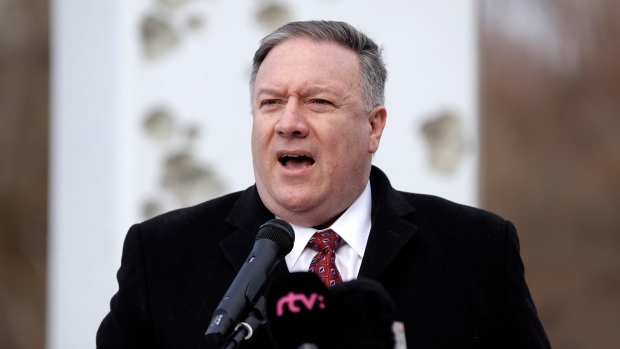 BRATISLAVA, Slovakia -- U.S. Secretary of State Mike Pompeo on Tuesday invoked the 30th anniversary of the demise of communism to implore countries in Central and Eastern Europe to resist Chinese and Russian influence. He said the post-communist countries are particularly vulnerable to Chinese and Russian predatory investment and political meddling. To combat the threat, he said, the United States is committed to boosting its engagement in the region, through defenceco-operation agreements and exchange programs. He said because of its history and geography, Slovakia has "a special appreciation for the aggressive role Russia continues to play in the region," particularly in Ukraine. 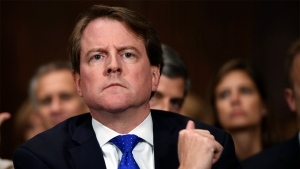 He said the U.S. had strong concerns about Huawei's motives in Europe, especially in NATO and European Union member states, as well as its business practices. "We're fine with companies competing, but they have got to do so in a way that's fair and open and transparent, and they can't do so with anything other than an economic motive," he said. China has said the U.S. is just trying to suppress a rising competitor. "I want to make sure that the Slovakian people understand that America is engaged, we're back," he said earlier at a ceremony at Slovakia's "Gate of Freedom," a memorial on the banks of the Morava River at the Slovakian border with Austria that commemorates the 400 people killed at the borders of the former Czechoslovakia while attempting to escape the Iron Curtain between 1945 and 1989.